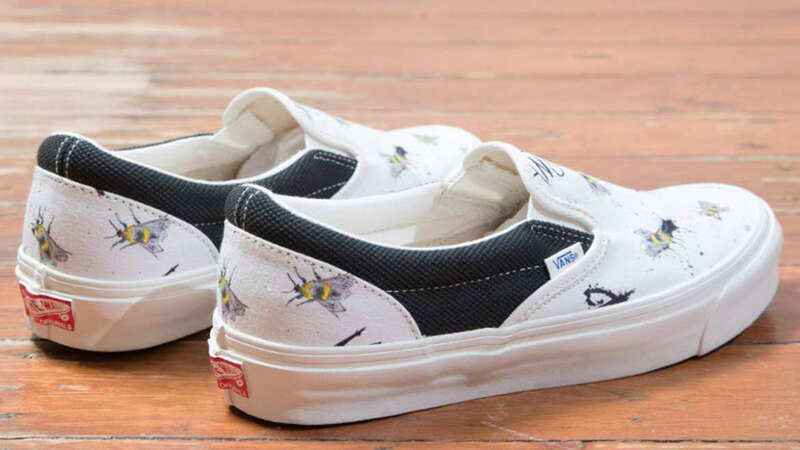 The Vans Sk8-Hi Pro has just dropped in a snake style. 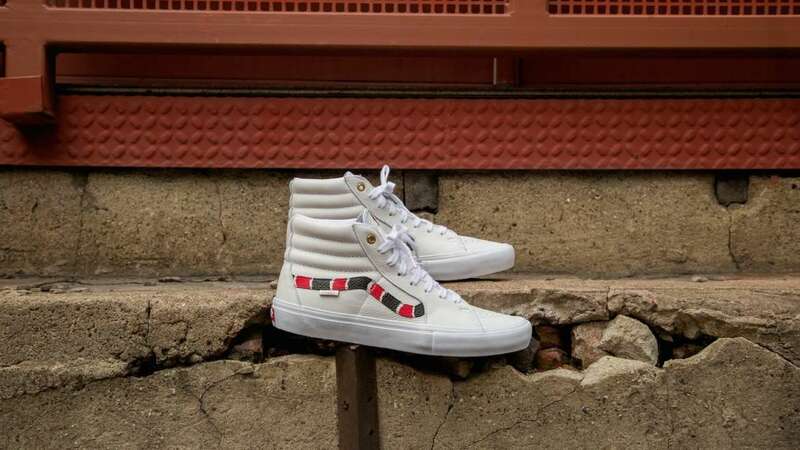 The design is set in white leather with the stripe in a stylized snake pattern that mimics the coral snake (but it looks more like a milk snake pattern). 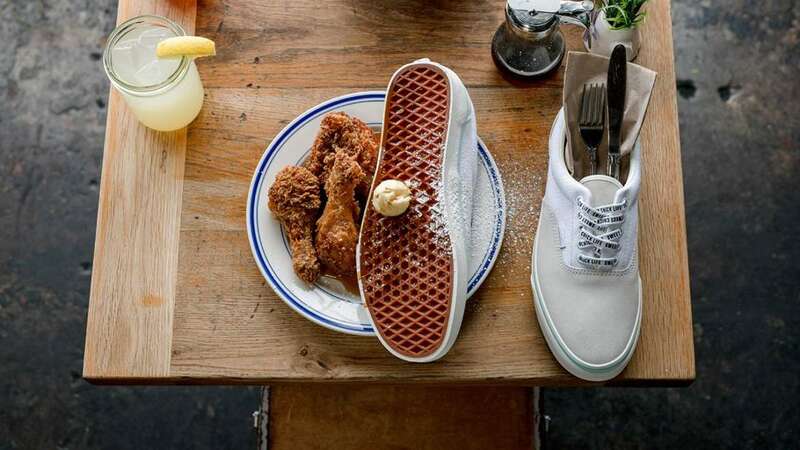 Complete with a brassy top eyelet, the kicks are currently making the rounds at shops that include US based unheardof. 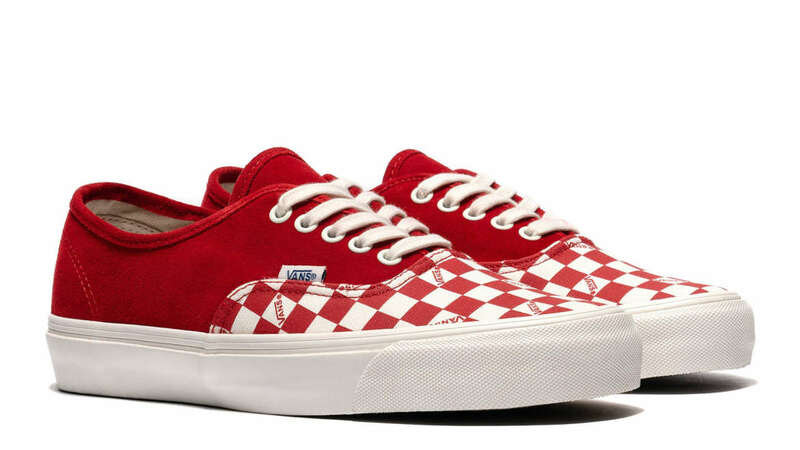 This season, Vans is offering up the Era in a Deck Club style. Evoking boat wear, the kicks feature a striped tongue. 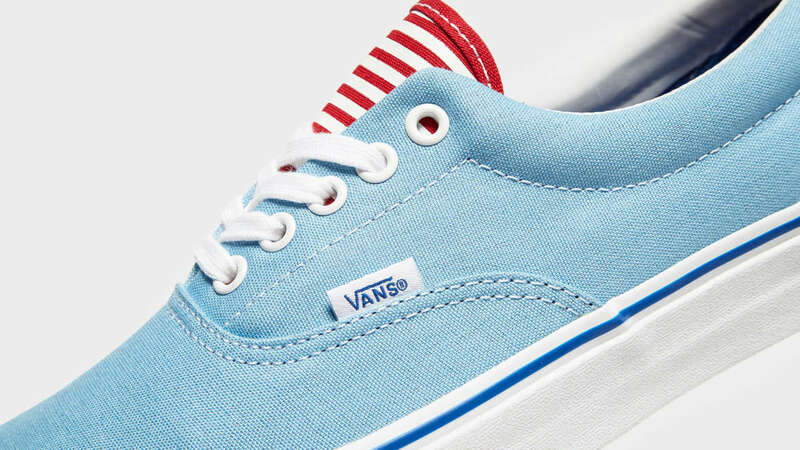 This particular edition is styled in light blue with red and white stripes on the tongue. Deck ready, the canvas built sneaker is now on the racks at JD Sports. 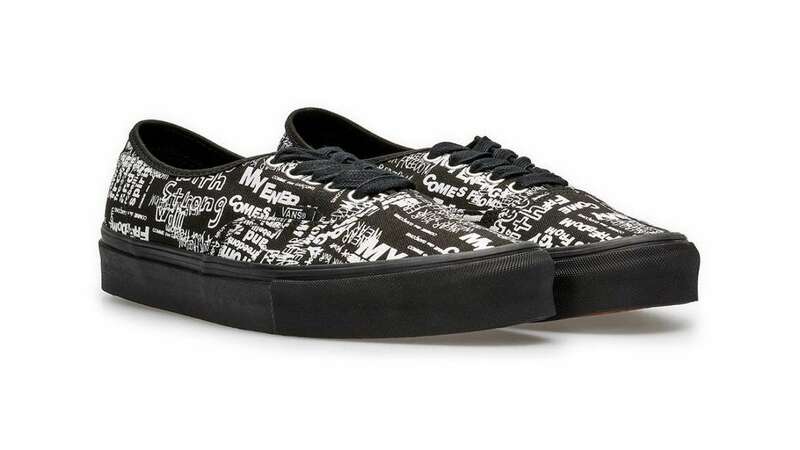 Vans Vault’s spring 2019 collection includes a quartet of Authentic colorways that feature a checkerboard print on the toe. The premium build is done in suede on the base with patterned toe in canvas. Color options for the sneaker include true blue, racing red, black and Buckthorn. 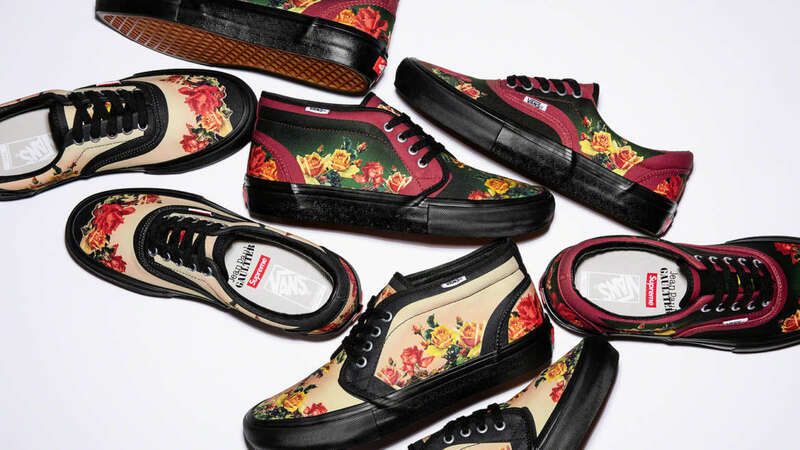 Find the sneaker at Vans Vault dealers like Canada based Haven. 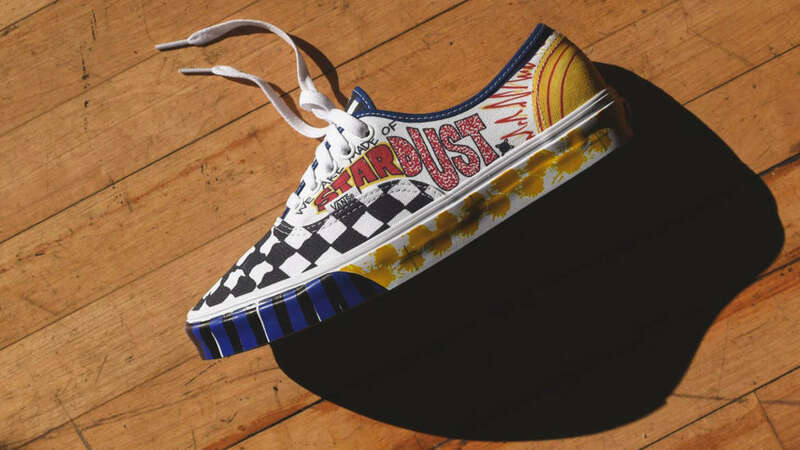 Horizontal stripes on your Vans is an option for spring 2019. 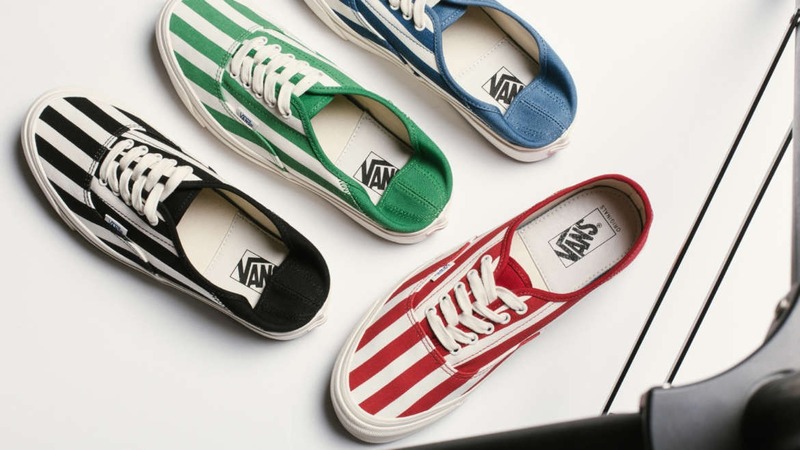 Vans Vault has dressed the OG Style 43 in the style in a choice of red, green, blue or black. 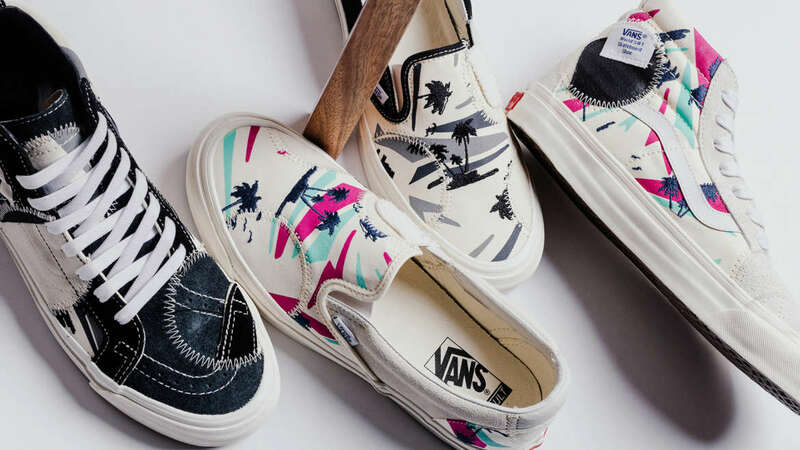 Dressed in canvas, the quartet is live at Vans Vault dealers, including Las Vegas based Feature Boutique.